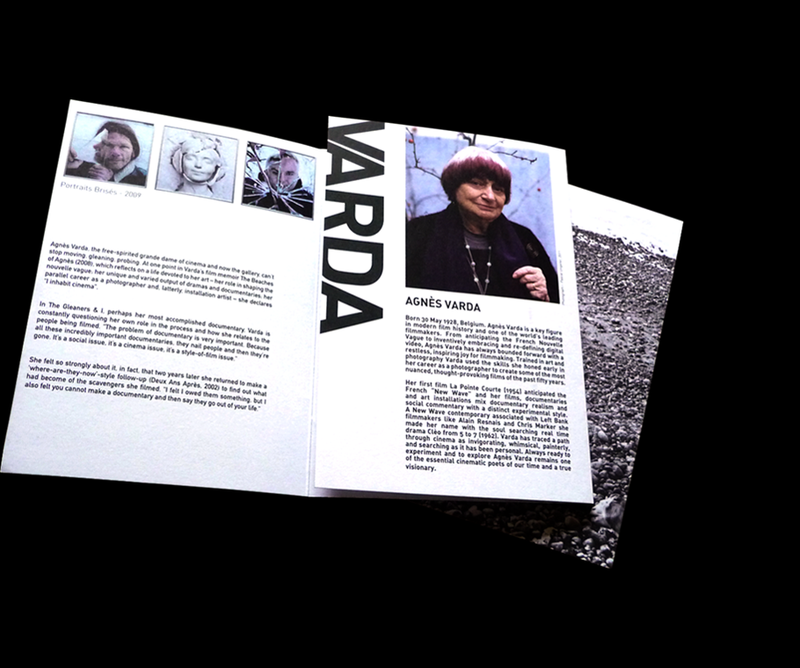 Exhibition catalogue for Agnès Varda. 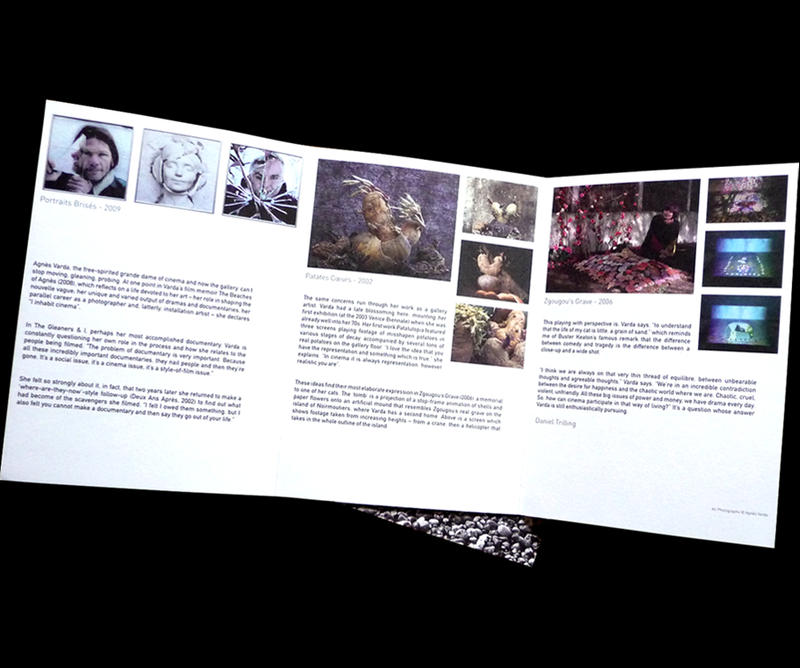 Tri-fold A5 catalogue printed on uncoated card. Designed by David Pope / DesignPusher™ (Dublin), 2017. All rights reserved. Type: FF DIN.